These are real spinner shark jaws. They are specimen quality and are thoroughly cleaned. They are approximately 7 cm (3") long and 5 cm (2") wide. 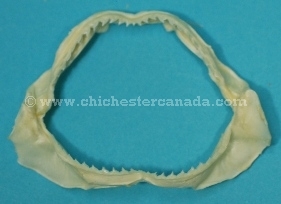 Genus and species: Carcharhinus brevipinna. Wild.